Control will control two seperate loads with external "ON-OFF-ON' switch, two required. An unlimited number of switches may be used to control each of the two loads. 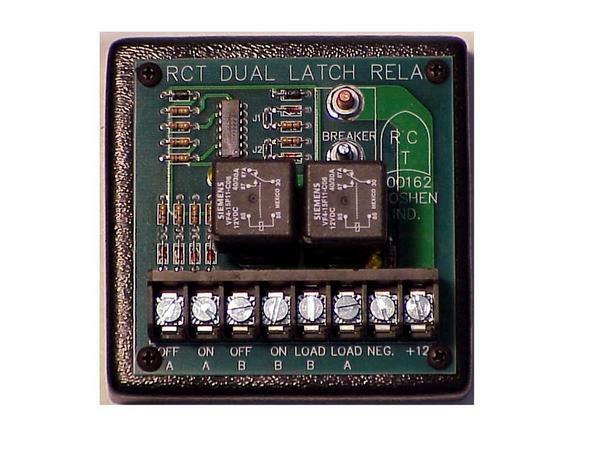 Document: RCT-00162-00000 Dual Latch Relay.